Click here for full Ts&Cs. The promotion closes at 9.59pm AEST on 03/01/19. AU/NZ residents 18+ only & if enter for trip prize, must be able to take trip prize btwn 14-20/01/19. 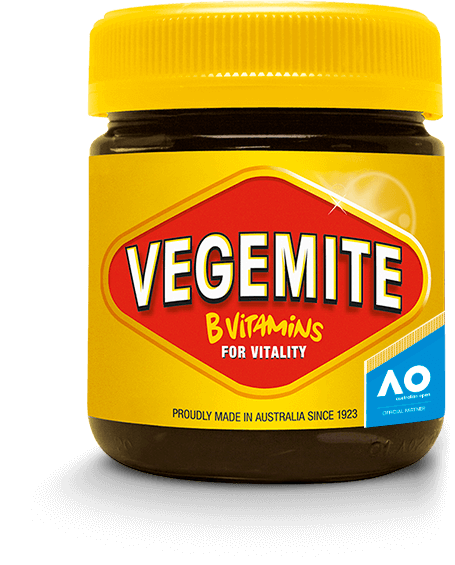 Between 12.01am (AEDT) (2.01am (NZDT)) 01/11/18 & 9.59pm (AEDT) (11.59pm (NZDT)) 03/01/19 , buy any VEGEMITE product from participating stockist in AU/NZ, visit www.vegemite.com.au/promo & fill out entry form (inc receipt upload) to enter daily prize draw & trip prize draw for country of residence. Max 5 entries per person per day. Keep original itemised receipt/s. 64 daily prize draws: 1 per AEDT day of comp period, held at 11am on next business day. AU/NZ trip prize draws: 11am (AEDT) (1pm (NZDT)) 07/01/19. All draws at 191 Ferrars St, Southbank 3006. 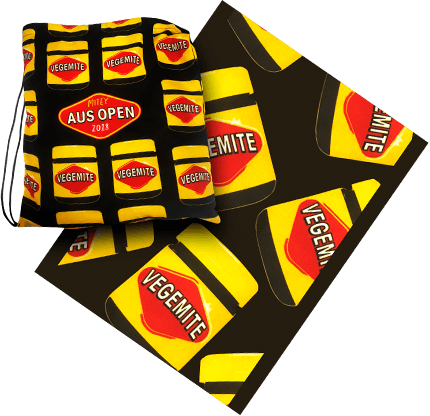 320 daily prizes (5 per day): Vegemite prize pack (AUD50ea, NZD58.11ea). 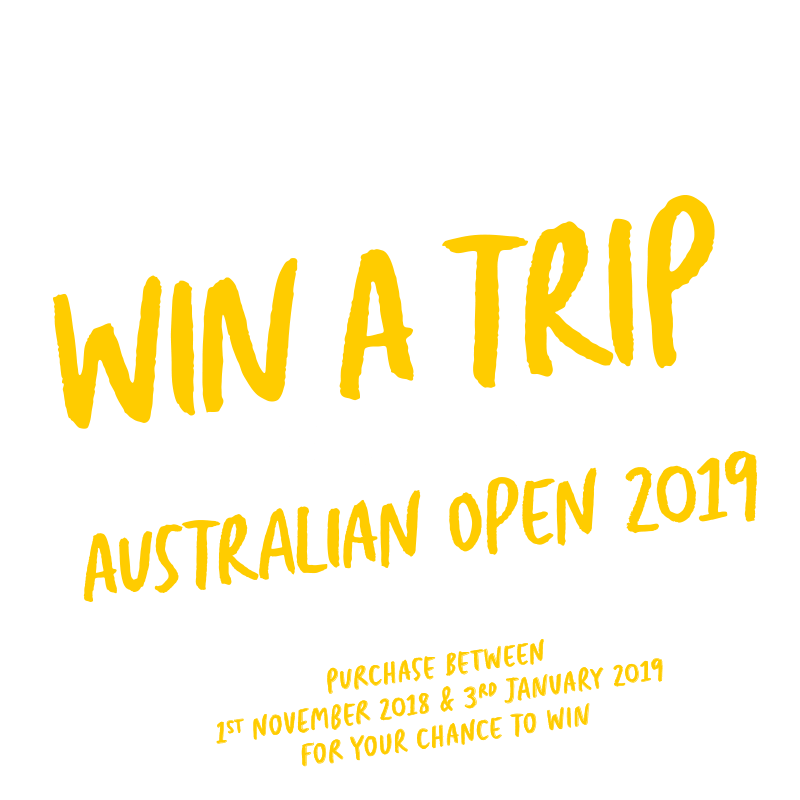 1 AU & 1 NZ trip prize: trip for 4 (max 2 children) to 2019 Australian Open (up to AUD10,000/ NZD11,623.96). Total prize pool up to AUD26,000/NZD30,219.16. Max 1 daily prize per person (except in SA). Must claim trip prizes by 5pm (AEDT) (7pm (NZDT)) 10/01/19. Winners told by phone & writing. See website on 08/01/19 for trip winners. Entrants will get future marketing from Promoter. See website for full conditions inc. privacy statement. Promoter: Bega Cheese Limited (ABN 81 008 358 503), 23 Ridge St, Nth Bega 2550. 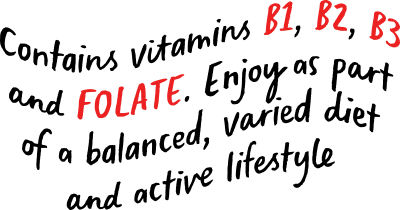 Permits: ACT TP18/01618, SA T18/1487, NSW LTPS/18/27351.